If you see this post on another site than lotuspalace.blogspot.com it has been stolen and used without my permission. I only allow reposts with proper credits for my work (please contact me first!)! 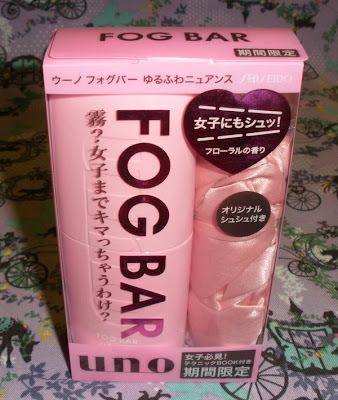 Fog Bar is a very famous series of liquid hair wax mists from Shiseido UNO, a brand targeted towards men. 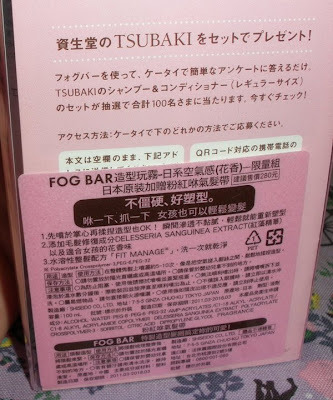 The Fog Bar became quite popular among ladies, too, so Shiseido decided to release a set for women for market testing purposes. Here is an interesting article about this product. 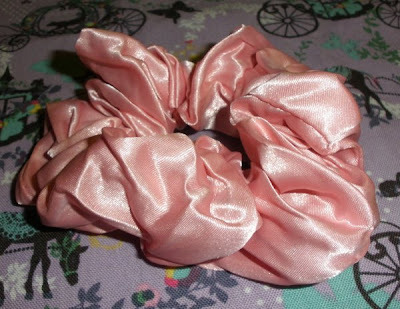 The set contains a pink Fog Bar spray, a dusty pink satin (or silky material) hair scrunchie and a small booklet with styling ideas. I got my set from Alphabeautyuk on eBay and I still see a few sets left for those interested. 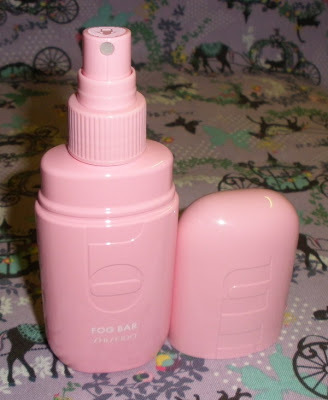 The Fog Bar is a slightly sticky and waxy spray so I recommend using it with care as the result otherwise can feel a little gross. If used sparingly this stuff is really good for keeping my style in place and smoothing down fuzzies but without the slightly hard sometimes crunchy feel of regular hair spray. It´s great to do an "airy" hair style and kneading in some of the Fog Bar as the hair will get a good dose of volume and it will nicely stay in place. 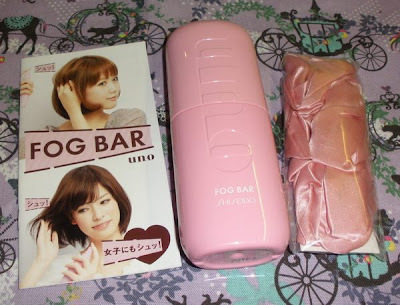 This product smells slightly floral but it´s a very unobtrusive scent which doesn´t smell strong at all. 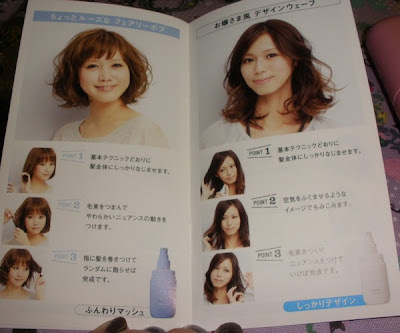 The booklet is useless for me but might be interesting for others. 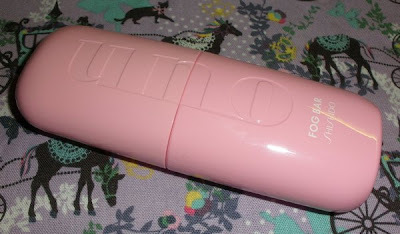 Overall I like the Fog Bar set and while the spray can be sticky the overall result it gives is good - as long as you don´t overdo application. PS sorry for my lack of posts. I am studying for my 2nd last exam so I even don´t get to see my kids a lot these days let alone have time for posting =( I will be back to normal early July. 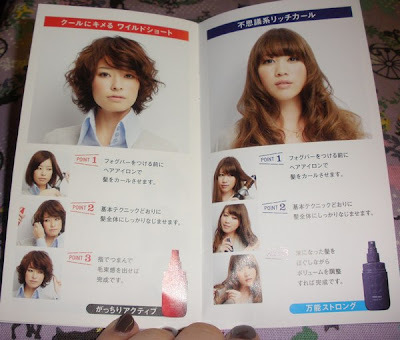 Wowww so cute and fashion, in few minutes your hair stay beautiful and modern. I love it. Great ideas! I love the packaging. It's so pretty! And I've never heard of a wax mist before this. I imagine it's less messy than sticking your fingers into a regular pot of wax. Will check it out!